PH Body Clear Gel Pro. As we age, our skin becomes unceasingly prone to UV, pollutants and pressure that results in oxidization. Consequently, our skin begins to dehydrate, draining hyaluronic acid, elastin and collagen, which in turn leads to sagging and darkening of the skin, and promotes the appearance of fine lines and wrinkles. Expert researchers from Bb LABORATORIES are committed to devise a solution to combat aging problems of the skin, which can strengthen the overall structure of the human skin to lock in moisture, uplift, and restore firmness. 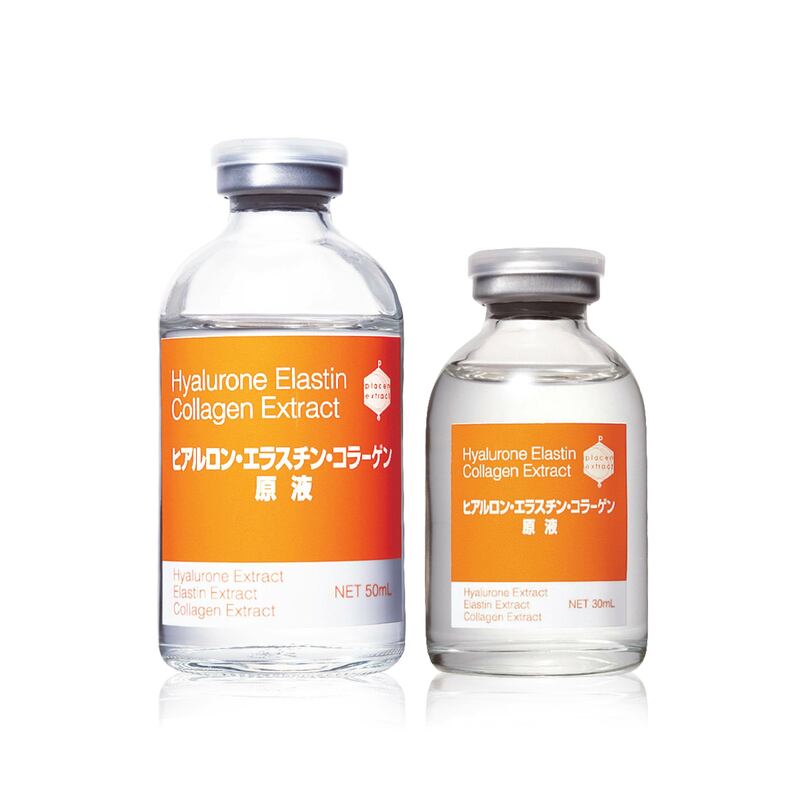 The Hyalurone Elastin Collagen Extract series is meticulously fabricated from state-of-the-art technology, allowing each molecule to rapidly penetrate the skin, to give you the best effect and help you regain perfect skin complexion. Bb LABORATORIES implements stringent manufacturing standards on highly safe products and is persistent to ensure that each product “takes care of your needs”. Experience yourself, and feel the miraculous results of the Hyalurone Elastin Collagen Extract series exclusive only from Bb Laboratories. 1 gram of hyaluronic acid is able to retain 6 litres of water, which is equivalent to moist retaining capability up to 6,000 times, allowing the skin to store enough water, so that it can be released continuously, keeping your skin moist, day and night. Awakens the elastic memory body of the dermis and combats the lost of elastin that often leads to drooping of the skin. Your skin will be restored to its youthful self with radiance and suppleness. Supports the core structure of the skin, which in turn enhances the skin s supportive foundation, smoothes wrinkles and makes skin look fuller and healthier. Contains the three essential elements: hyaluronic acid, elastin and collagen. By transforming the molecule into tiny microspheres level for effective penetration, it can strengthen the overall structure of the human skin to restore firmness, improve wrinkles and lock in moisture. Skin will appear more resilient and radiant than ever! Pat over the cleansed face by palm with approximate amount of the extract. Repeat on areas that require special care. Combine with the use of Placenta Extract to maximize the benefits. Use every day in the morning and evening. Once opened, store in the fridge and use within 3 months. Copyright © 2016 Bb LABORATORIES All Rights Reserved.